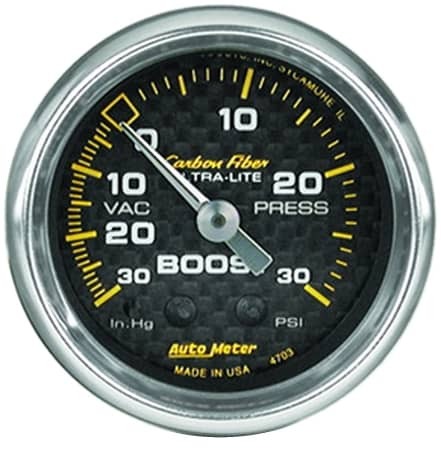 Auto Meter Carbon Fiber Gauges: Bright anodized bezels, polished pointers, race proven movements and real carbon fiber dials set this series apart. 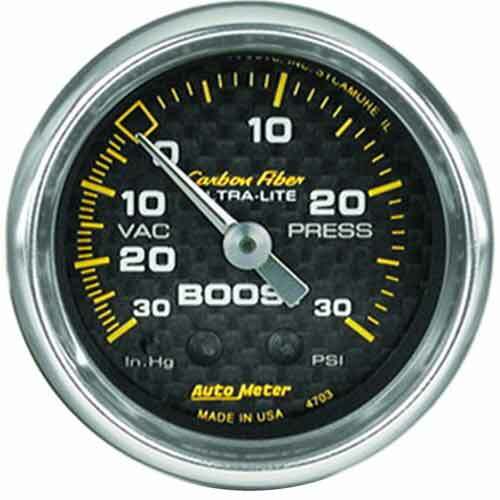 Bronze bourdon tube 270 degree sweep movements and durable nylon gearing have made these rugged and long lasting gauges a proven high performance favorite for over 50 years. 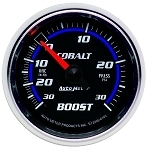 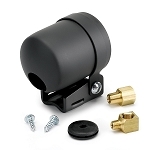 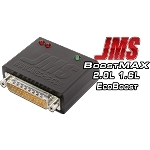 These mechanical gauges require no electrical power for operation making them an ideal choice for racing vehicles with no or low powered electrical systems.